God is so good! His provision is abundance and constantly flowing towards us. As He leads us in paths of righteousness, provision is laid up along those paths. His paths drip with abundance and He crowns the year with His goodness. The principle is that God provides for our needs and gives an abundance for every good work. Even the smallest measure of provision can be multipied as we seek His ways of stewardship. How much do we hoard instead of passing on the blessing to others? When we have more than we need for ourselves, we then have an opppotunity to bless others with our abundance, meeting their lack and perhaps even being an answer to their prayers! Dear ones, whatever God provides for you today be thankful and receive it gracefully, as a gift. If there is some leftover once your needs have been met, ask the Lord who you can bless with these extra resources. Don’t stop the flow. Be generous and prosper yourself and others. Live large. Be generous like God. Provision is all around us and even the smallest thing we sow can be of major benefit to others. Nothing is wasted in God’s economy. So before you throw something away, or store away items in a cupboard to be forgotten forever, consider who you might be able to give to. Remember, giving is about relationships. The blessing is always multiplied back to you, pressed down, shaken together and running over. Join with God in the gift of being a generous giver. You will find opportunities everywhere you look if you are mindful and attentive. Why is it that we so often override the clear voice of conscience within? Why do we do the things we know beforehand are wrong? We know it’s going to end in disaster, yet we continue on anyway! Each one of us has an internal guidance mechanism. The conscience. That place in our spirit that discerns right and wrong. Have you ever met someone who you instantly disliked and felt a sense of warning within to keep away from them? Ever felt the urge to not share information with someone, or go ahead with a business transaction, simply because something inside gave you a sense of foreboding? That is your inner discernment speaking. This God-given guiding radar is never to be disobeyed. I repeat. Never. Always be true to your own heart and keep a clear conscience. This is one of the ways in which the Spirit guides, protects and keeps us from harm. God is aware of things laying ahead on our path that are not yet apparent to us. Following our inner guidance could save us from much heartache. Keeping a clear conscience is essential to our peace. When we override the voice of conscience the immediate effect is an underlying sense of guilt and conviction. The Bible teaches that if we continue to override and ignore our conscience then it is possible our conscience will become seared. The effects of this will be that we are unable to see trouble coming and effectively avoid it. More importantly, we have rejected the voice of God speaking to us through the mechanism of our conscience. A serious matter indeed! Let us pray that our conscience would remain soft and sensitive and if we know we have failed come to the Lord for forgiveness and restoration. Let’s admit our wrong and go on in faith. Conscience is a gift God has given us to help us walk worthy of our most holy calling. Let’s not ignore its wisdom. Never be afraid to make your requests be made known to God. He desires to bless you. He is not withholding anything good from you. He takes good care of His children. Money is never something God is wanting us to spend all day worrying about. He owns it all. He has millions and millions of ways to bring to you what you need. Trust in Him. Let go and let Him bring to you what you need. Delight in His abundance and be thankful. Be faithful with what you have and walk in the wisdom He supplies regarding money, and he will ensure your needs are met according to His riches in glory. God gives wisdom to those who ask including how we should be earning, spending, saving and giving. God owns everything and what he places in our hands is a stewardship for which we will give an account. Know when it is time to tighten your belt and when it is time to spend and give generously. Ask God for the things you need, and even what you would like, then trust Him to provide for you in His time and in His way. Watch out for His provision everywhere you go. He may provide in unexpected ways, dropping bundles on purpose as He did for Ruth. Be a receiver and respond with love and thanksgiving. Always be ready to share. He may provide by eliminating the need altogether. Circumstances are always changing and therefore some of the things we once needed we no longer require. Not all that He provides is for you. He often provides in over-abundance. This is given to you for the purpose of meeting your own needs and beyond that to participate in being a generous giver to others in need. Perhaps you can be the answer to someone else’s prayers! His paths drip with abundance, so never be afraid. He is your source of life and all things besides. 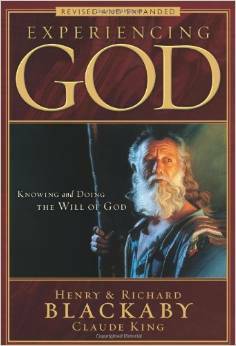 How can I walk in the provision of God? How can I trust that I will always have enough? Provision is there waiting as you walk the path. God continually shows us the way to walk. There is always a next step for you to take. A way to make a little progress. There is no need to fear lack. Our God always meets our every need as it becomes apparent. When it is needed, it will be there. God’s provision is abundant and generous. No stingy measure with Him. He delights to give His created things all they need for the day. 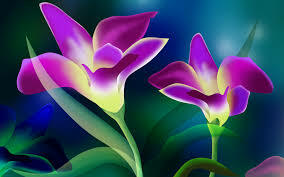 A lily of the field is gloriously dressed by Him. Birds never worry about what to eat. Anytime they need food, it is set right there in their environment for them to gather. We are of so much more value to Him. God’s provision comes to us on a day by day basis. We must look to Him as a dependent child. Resources are gracious bestowed upon us. God has millions and millions of ways to get provision to us. Harvests are everywhere around us, built into our life walk. May God open our eyes to see it and be diligent to gather it in when we perceive it. God is able to make all grace abound towards us so that we will always have all-sufficiency in all things. He withholds nothing from us. Our hearts need to be opened through gratitude to see the wonderful blessing of being provided for by Him. He cares for us in amazing ways. We shall not want if we are following the Good Shepherd. He is the One who knows what we REALLY need. He is attentive and close by. We simply ask and receive. His abundant provision to us, coupled with the amazing ability to steward it well is good reason to give praise and thanksgiving to the Lord, who delights to give us the Kingdom. Christ is the ultimate provision God has given for the salvation of all mankind. Will He not give us everything else needful for this life? Consider yourself a fully resourced person in the present moment and be mindful of Him care at all times. Let us never fear or worry about provision. As we walk along the paths He has set, concentrating on a day at a time, we will come to experience that we have all that is required. Always. And Heaven’s reward is before us. Prosperity is: Always having enough to do God’s will at any given moment of time. It is clear to me that much of my slowness of progress towards becoming more fruitful is due to a sense of low self worth. I envision, I rejoice. Then I fold and crumble within. I become discouraged and disempowered. Self-doubt screams “Who do you think you are? You can’t do this! You’re not good enough”. I have found this to be true in my own life. I feel centred in His will and purpose and have a clear sense of presence and purpose. At other times it seems I have lost my way. I am disoriented, looking for answers. It seems that God is not listening or speaking, as though He is far away. I feel as though I am floundering. I’m in need of rescue. I cry out to God in desperation. Eventually breakthrough comes, like sunshine after rain and I am refreshed and renewed as God shed light along my path once more. It is always in some way surprising. Joy returns. It is encouraging to know that this ebb and flow of spiritual life is completely normal and is the way God works in our hearts to shape and form us. Internal struggle arouses in us a search and pursuit of God, a drawing near. We are reminded of our poverty of spirit and our need of God. Having come through these periods we are refreshed and strengthened, our convictions and our learnings are embedded into the fabric of our lives resulting in greater confidence in God and His plan for our lives. God loves us and that love is demonstrated in sending His Son to die for us so that we can be reconciled to Him. This mighty act of love shows us the value God places upon our lives. His desire for relationship with us. We are worth something to Him. Worth is bestowed upon us by God. We are valuable because we exist and our worth is not earned. Worth is undeserved yet freely given. Dear friends, may we always be reassured of the goodness of God and His desire for us to enjoy relationship with Him forever. Let us fully open our hearts to all He desires for our lives, confident that we are a person of worth to Him. Amen. Go forth in the confidence of His love and goodness. Have you ever struggled with a sense of not being good enough? How did you overcome discouragement and move forward in God’s love? You are CHOSEN for a purpose. You are being GUIDED through life. You are being RESOURCED. Provided for. You are GIFTED. You have SUPERPOWERS. DOORS OF OPPORTUNITY are being opened to you. Everything works out for your good. You have PERMISSION to be authentically you. You are ACCEPTED in the beloved. I often wonder why I am scared so much of the time. Worried about the quality of my writing, the validity of my thoughts, whether anyone will read or care about what I written. But I must never allow fear to immobilize me and stop me from bring forth into the world my contribution. Our contribution matters. It adds it value to corporate thought and mindset. I must have courage to share what I am thinking with others, to engage and interact with them. I do not want to simply be a consumer of content, but a creator, someone who adds to the collective conversation. My deep desire is create a body of work of valuable content for readers who are eager to learn. Teaching that encourages and inspires. Teaching that liberates and empowers. Teaching that sparks faith and motivates to action. My content is my WEALTH. Treasure created. I want to daily add to my store of content. I want to show up and show out. People I have seen and read about often make no distinction between work and play. All is a joy to them. Life is an adventure to be lived as a participant not just a spectator. Let me enter in. One thing I have discovered, GOALS ARE EARTHLY, VISION IS HEAVENLY. Vision is what God has revealed to us as available to us in His Kingdom. Territory marked out and set apart for us to possess and occupy. Once we have seen vision we are infused with grace and power to obtain what we have seen. Faith arises. Goals can be set in the earthly realm to manifest what we have seen. When goals are in line with the heavenly vision there is a sense of alignment and authenticity in our life. A feeling of ‘rightness’. We have faith and we walk by faith. We are led along this path of righteousness by the Spirit. Providence begins to be seen as we walk forward. What others call co-incidence, we know is the Divine signposts of God that we are on the right track and pleasing in His sight. Provision, help and opportunity lay before us along the path. Occasionally an enemy will also arise along the path. Those spectating along the sidelines of our vision become naysayers telling how impossible it is to attain our goals. Keep walking anyway. You know what you have seen. A vision is something revealed by God and is to be established for eternity. Goals are made in the natural realm and bring forth this in this life those things which are temporal. Vision is forever. Goals are temporal. There are many lessons we will learn as we walk with God on the path of life he has set before us. There is much to learn. One thing we can be sure of is that He will never leave us or forsake us. God is with us and gives us power and authority to ENTER IN and POSSESS what He has shown us in the secret place. This is our birthright and our inheritance. He has given us the keys to obtain. Go possess what is yours! To His glory. Question: What have you seen is yours with your eyes of faith? What goals do you need to set in order to make this a reality? Having been a journal writer for over 20 years, regularly writing three pages a day, I have learnt a thing or two about the great benefits that can come from this practice. It is a great habit to integrate into your schedule. My own practice has been to write early in the morning with a hot cup of coffee in hand. I write about whatever comes into my head. Everything from shopping lists to lists of things to do, life issues, hopes and dreams, and of course prayers. Whatever I am thinking or feeling flows out onto the page. These are the benefits I have noticed that come from journaling. Journaling helps me to clarify my thoughts. Journaling helps me to get clear on what I want and need. Journaling is a great way to work through problems on paper. Often great solutions seem to ‘appear’ as I write. Journaling is great for my mental and emotional health. When I am feeling bad I can pick up my pen and start writing about how I am feeling. I am always in a more uplifted mood after doing this. Journaling helps me to articulate what is really at the core of the issues I am facing and gives me confidence about how to address them successfully. In going back over my journals from time to time, I notice that themes appear, ideas emerge that will not go away, and purpose and direction seem to unfold for my life. Journaling has helped me know myself more fully. Who I am and what I am called to do in the world. I use my journal to write down ideas as they come to me during the day. I also write great quotes from books that I am reading or whatever I am listening to throughout the day. The journal is a repository for everything I do not want to forget. Journaling has helped to become more creative and productive. Journaling helps me to overcome my own fears and conquer resistance to getting started. I have been journaling so long it has become a necessary part of my morning routine. When I have finished journaling I feel equipped for the day, organised and focused. I know exactly what I want to go forth and accomplish. What direction to take. I have my marching orders. I get dressed and ready and off I go to make my contribution to the world. I am empowered to live my truth one day at a time. Be open to new ideas. The fact is we don’t know everything. It is good to be open to listen to someone with a differing view or perspective than you. This can either strengthen your own convictions or shift you in ways that a beneficial for you. Try new things. Follow your inspirations and curiosities. Consider them invitations to learn and grow. What have you always wanted to try? Food, sport, travel? What new skill would you like to develop? Playing an instrument, learning a different language, art, craft etc.? Dabble a little and you just might find something that inspires joy in you. Be open to guidance. Trust that you are being guided. The guidance will flow step by step. Truth and insights you need will be provided. Resources are laid out along the way. They are being added to you as you follow your faith path. Be open to constructive feedback and advice. Feedback is good if it is constructive. It can make your lifework better, more purposeful and richer. Negativity and spiteful criticism on the other help can kill enthusiasm for your lifework and discourage you into a state of inactivity. Know what you want. This sounds easier that it actually is in practice. Aim to gain clarity around what you want in every area of life. How do you want to feel? Setting goals is pointless if you vague about your core desires. Ask for what you want. Once you are clear on what you desire, start asking for it. From God, from loved ones, from everyone. Ask and you shall receive. Keep asking until the breakthrough comes. Ask for the help and guidance you need. God is an amazing source of help and guidance. He will guide us with wisdom, knowledge and understanding. He will direct us to people who have the answer we need. Learn to ask great questions. The quality of your questions will determine the clarity of the answers. Listen carefully and you will learn much. it is about being receptive and responsive to truth. Practice telling others how you really feel. So often are breakthrough has not come because we have failed to share our true feelings. Be authentic. This takes great courage if you are a people pleaser. Be honest with yourself and others so that your relationships will become more truly engaged and connected. Share your dreams with others. Be brave and tell the world about your lifework and message. Learn to articulate who you are and what you are about to others. Define yourself as God sees you. Be on task with your own lifework otherwise by default to will be pulled into the agenda of others. Along the path of your lifework you will bump into others who are like-minded and with whom you may collaborate to serve others with your giftedness. Give yourself permission to show up and show out. Stop waiting for someone to pick you. Pick yourself. God has already chosen you and calls you to use your superpowers to the benefit of others. No need to wait for anyone to tap you on the shoulder and allow you to begin. You hold your own authority. Don’t give your power to others. It is not selfish or prideful to follow your passion. Stop apologizing for being you. Embrace yourself. You have your own keys. Open the door for yourself. You are allowed to. It’s okay. What would you be doing if you had no fear? Do that. Conquer. What a wonderful ministry we have been called to. I love to sing. I long to sing. Each Sunday morning I look forward to spending time with my church family praising the Lord. Recently I was reading Luke 15 which tells the story of 3 lost things. Interestingly I noticed that in the first two parables the sheep and the coin were looked for. The shepherd left the 99 and went looking for the first. The woman swept every corner of the house and carefully searched for the lost coin. Jesus said there would be great rejoicing in heaven over one sinner that repents.The last parable of the lost son was allowed to wander, his life went bad, real bad, and he came to his senses and returned to His Father. When he did he was welcomed and a celebration feast was held in his honour. Two looked for, searched for, one allowed to leave and not followed. Three celebrations. Jesus was teaching us something about our working winning lost souls. We must go after and seek out those with whom we can share the gospel. Those who have walked away from God and returned to worldly living, we must allow them their free choice. We must allow to experience the consequential pain of separation form God. Not because we are unkind, but so as they will come to their senses and return to their Father. When they do, let’s welcome them with open arms. NO condemnation. In all cases let us celebrate and rejoice when reconciliation happens. What does this have to do with worship leading? Plenty. It is important to remember the commission we have to preach the gospel to every creature. When choosing a song list, pray for the lost, the harvest of souls to come in, pray for the prodigal to return to the Father. Consider this PLOUGHING THE GROUND. Choose songs that contain a proclamation of the gospel. Consider the lyrics and who may hear them during the service. We proclaim Christ in the content of our songs. Consider this SOWING SEED. Once we have ploughed the ground and sowed the seed, there are some things that are out of our control. Weather conditions. We can liken the work of the Holy Spirit to SUNSHINE and RAIN. Providing the conditions for the seed to grow and produce. We must defend the seed we have sown by WEEDING and fending off disease and pests that seek to devour. Push back the enemy with the word, prayer and praise. Pull out error and deception. Finally, REAP. As Billy Graham says, “Go for the decision!” Know how to lead people to Christ, as they repent and believe. Great is the celebration in Heaven in the presence of His holy angels! I have been thinking about the terrible issue called Procrastination. It is so detrimental to forward progress. It is a hindrance to productivity and fruitfulness. It is disobedience and rebellion. It leads to laziness, overeating, lethargy, sluggishness, time wasting and depression and anxiety. You will never fulfil your call or develop your gifts if you are a procrastinator. Your work will be shoddy and you will be unprepared. It is fear-based, sometimes anger-based, as in passive aggression. It is a marl of someone who lacks confidence. It is an avoidance mechanism. Can be caused by fear of failure or fear of success. It is a failure to do what you know you should be doing. Procrastinators do not begin working until the extreme pressure of a deadline comes. Because of their lack of preparation, the work that they do produce is shoddy, rushed, average, basic, NOT EXCELLENT! They do not have the time to polish and add the ‘WOW’ factor. They never prepare ahead and they avoid hard things, therefore they never place a demand on their gift and reach their full potential. They avoid things they lack confidence in doing and they stay in the comfort zone. They make excuses. I have been like this in the area of writing. However, since waking up early, setting a time to get dressed and then starting TOP 3 action items of the day I have seen great improvement. I am creating instead of simply consuming. When writing or doing any hard thing I set the timer for 30 mins and just get started. I figure I can do anything for 30 mins. One of two things will happen. Either I will find nothing is happening or inspiring me today, in which case I set another time to try again. Or, I get a great start on my project and make great headway. I am in the zone and I want to continue working. Great! Other times I surprise myself by finishing what I thought was going to be a hard task before 30 minutes is over. I either overestimated the time I would need or I underestimated my capacity to get it done. Either way, I win! The creative flow is happening. So good. Have you ever had a problem with procrastination? What tips or tricks have helped you to overcome? Please share in the comments section. 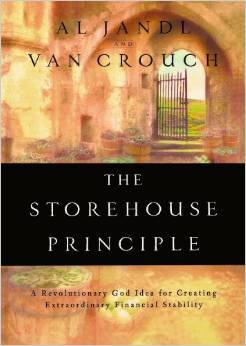 The Storehouse Principle is a truly amazing book. It is has sound teaching and is very inspiring. It is my favourite book on the subject of biblical stewardship and the wise management of finances. Based on Deut 28:8 the premise of the book is that as well as tithes and offerings we should also set aside something from everything that we gain to put aside as savings. God has promised to command a blessing upon our storehouses and when we are faithful with little He will then entrust as with much. Ps Al Jandl shares inspiring testimony of how God blessed him in life and ministry as he applied this principle. Essential reading for every Christian. What is your favourite Christian book on the subject of finances? Leave a comment to make us smile! Dear Blessed Ones, Here is a basic overview of Paul’s epistle to the Romans. Enjoy. Love the Word! Service (Romans 12-16) In these final chapters Paul explains how to practically apply the teachings of the previous chapter. He urges the Romans to present their bodies as a living sacrifice and to be transformed by the renewing of their minds. In so doing they would ‘prove’ what is the good and perfect will of God. (Rom 12: 1-2) Paul explains the differing spiritual gifts and encourages their use. (Rom 12: 3-8) The following verses lay out various practical exhortations for Christians living, being humble walking in love and in right relationship to authority (Rom 13: 1-7) and bearing with the weaknesses of others, helping them where we can. (Rom 15:1) We are to identify with Christ in His servanthood and imitate Him. Dead to Sin, Alive to God. I have been so inspired today by Paul’s teaching in in Romans 6-8 and how it can be applied to our lives. We have been, and are being radically changed! How can we apply this awesome truth? Firstly, we must reckon (account) ourselves dead to sin and alive to God. (Rom 6:11) We see ourselves as born again to a new life in Christ! Our attitude towards sin is: we are dead to it! Sin will not reign in our body, we have power to overcome. Finally, rejoice in the Lord! No accuser can bring a charge against us and nothing can ever separate us from His love. We are more than conquerors in Him. (Rom 8-31-37) What amazing things the Lord has done! Oh, what wonderful love God has for us all! A love so sweet and blessed. A love flowing and freely given. How do we know God really loves us? By beholding the Cross. The Cross is the place where God puts His love on display for all the world to see. What love is this that Jesus Christ would die a painful and humiliating death on the Cross for our sins, that we might be forgiven and freed from sins power and its condemnation, that we might be reconciled to the Father and that we would be raised us up together to enjoy a new, empowered life in Him? Victorious life in the Spirit. Praise be to His holy name forever! Oh, what a glorious love this is. Love for the world. Love for sinners no matter how depraved. Love for the poor. Love for the sick. Love for the broken. Love for the lost. Love for the saved. Love for all! Love, love, love and more love. A love that we can never lose! A love that conquers all and reigns supreme. Can we ever fully understand or appreciate the depths of this love that is poured out upon us? It’s height, its width, its depth? How can we ever thank Him for His abundant love and the gift of His only begotten Son? How do I love Him, let me count the ways! God has demonstrated His love for us in sending Jesus. If you want to know what love is, look to the Cross. Behold the Lamb! Slain from the foundation of the world, Jesus was innocent of any and all accusations leveled against Him. He did no wrong! He was the sinless, spotless Lamb without blemish. No sin was found in Him. None. It was our sin that was laid upon Him and it was our punishment He received in His body. He was bruised for our transgressions, not His own. They mocked Him, beat Him, scourged Him and murdered the King of Heaven through the cruelest means of all: crucifixion. Jesus came to die for us. We were unable to save ourselves. We were born into sin and enslaved by it. He came to die, He could have called a myriad of angels to bring Him down from the Cross if He had chosen to, but love held Him there, not the nails in His hands and feet. For the joy that was set before Him. You. Me. Us. Jesus came to purchase our salvation and only He could pay the price. He paid in blood. Sinless blood. He came to earth on a mission, and when Jesus cried out from the Cross “It is finished” it was mission accomplished. Victory was won. Behold, Jesus Christ, Savior of the world! Even when we were yet sinners. So, here’s the facts: We were unable to save ourselves. We were born into sin and enslaved by it. Sin had us bound and in chains. We may have wanted to do good but had no power to do it. We were dead in our trespasses and sins. Satan had us in his grip and if we had died without Christ, Hell would have been our place of eternal punishment and it would be a punishment we rightly deserved. We would have been hopelessly separated from the life and love of God in Christ. Yes, the wages of sin is death, but the gift of God is eternal life in Christ Jesus. See, Jesus is the Reconciler between man and God. He is the Way, the Truth and the life and no one comes to the Father but by Him. One Way Jesus, same yesterday, today and forever. Come unto Him and be set free. Free to live. Amen. Will you receive His love? A love you don’t deserve? This revelation of God’s love requires of you a response. Will you admit you have sinned and need salvation? Can you humble yourself like that? Behold the Cross! What a glorious salvation was purchased for us all through the shed Blood of Christ at Calvary! Open up your heart and receive Christ today and praise His Name forevermore. Amen. The revised and expanded version of Experiencing God by Henry Blackaby, Richard Blackaby and Claude King has been such an encouragement to me in my walk with God, it is no exaggeration to say this book is profoundly life-changing. I have been a Christian for 17 years and during this time have been an avid reader of Christian books. I don’t think I have ever read a book that has affected me so deeply in my relationship with God. When I read it for the first time I could not put it down. When I finished the first reading, I then went back to the beginning and re-read it carefully, high-lighting key passages,wanting absorb its encouraging truth. I lead a fortnightly bible study group and as a blessing to them I purchased 10 copies of this book and gave it to them as a Christmas present. That’s how much I love it! I consider it an investment into their spiritual lives which will encourage maturity and growth. 1. God is always at work around you. 2. God pursues a continuing love relationship with you that is real and personal. 3. God’s invites you to become involved with Him in His work. 4. God speaks by the Holy Spirit through the Bible, prayer, circumstances, and the Church to reveal Himself, His purposes, and His ways. 5. God’s invitation for you to work with Him always leads you to a crisis of belief that requires faith and action. 6. You must make major adjustments in your life to join God in what He is doing. 7. You come to know God by experience as you obey Him and He accomplishes His work through you. The book encourages you to seek to see what God is doing in your life, family, Church, world, etc., and to actively participate in His work as he prompts you, by faith. Joining God in His work will involve making adjustments in your life, and challenge your thinking and attitudes. The author encourages you to be bold and obedient to the call of God on your life, and the authors share many encouraging examples from their own personal lives and from Scripture. Life with God should be a glorious adventure of experiencing God’s love and of being involved with Him and His wonderful work throughout your lifetime. God wants to use you! This book has the effect of orienting you to see things from God’s point of view rather than your own, and makes you want to serve Him with great oldness and abandon. The biblical principles this book sets forth are sound. Experiencing God will certainly build your faith and encourage you as you seek to walk with God in all His will and purpose. Be blessed as you read! What a Saviour! Pass it on! Ken Ham discusses the biblical account of creation.